PLEASE NOTE: Face are block/blurred for personal protection. 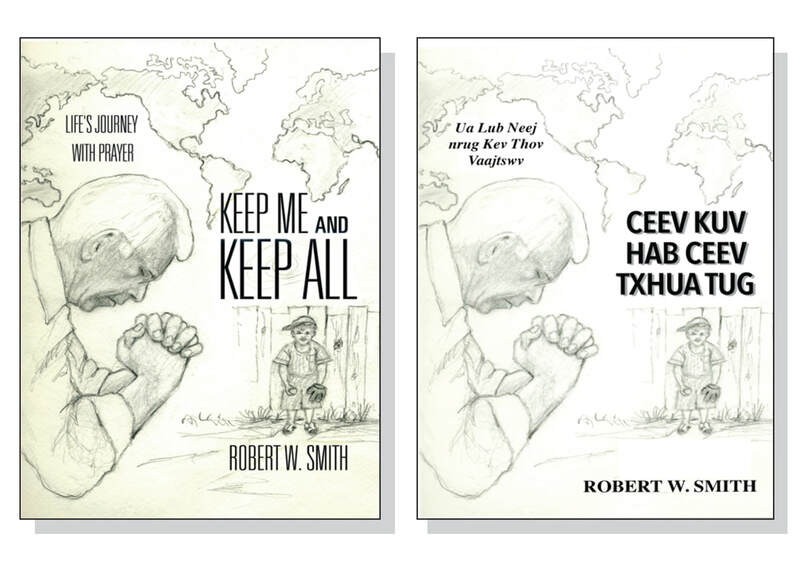 The praying book “Keep Me and Keep All – Life’s Journey with Prayer – Ceev Kuv Hab Ceev Txhuatug – Ua Lub Neej Nrug Kev Thov Vaajtswv” began its translation into the Blue Hmong dialect in 2016. The book was written by Pastor Robert Smith who lives in Frankenmuth, Michigan. The prayer book was translated by Pastor Lang Yang and his wife, Phoua. This book is a great book and translating it to the Hmong language, will help encourage and strengthen the Hmong in their life’s journey with prayer. With the support of individual donors, Churches, Thrivent Financial, and the Hmong Mission Society, the book was published in December 2018. The mission trip for the prayer book training was held in Chiang Mai, Thailand from December 10-23, 2018. On Sunday, we had the opportunity to join the Khun Chang Khiang Hmong congregation in their church service which was about a 2 hrs drive from Chiang Mai. The prayer’s training was held at Huayniam Children Hostel. We had 16 people - pastors and wives, an elder, and a deacon, came from Vietnam, Laos, and Thailand. During free time, pastor Bob spent time teaching the children how to play baseball and Pastor Lang taught the group to sing songs from the new Hmong Lutheran Hymnal. After the training, all participants received certificates of completion, cross, and a prayer hand picture. Alice also gave the women a gift. During our visit we also prayed for people with needs and ministry in Vietnam. Pastor Seo Su Vang from Vietnam has been persecuted for proclaiming the Gospel of Jesus Christ. They handcuffed and beat him. He suffered broken ribs and bled from the assault for months because he refused to recant from preaching the Gospel. It took several months for his wife to nurse him back to life. He serves as a District President for 68 congregations in Northern Vietnam with 40,000 Hmong believers. He needs a power projector to use during his congregation visits which will cost $500.00 to purchase one. So we need your support. churches. He was also being persecuted and was fined $2,000.00 US Dollars by the Vietnamese government for bringing Bibles from China into Vietnam. In order to do his ministry, he sold 5 cows to purchase 5 scooters. He used the scooters and drove to see the Hmong ministry in the regions for the last 5 years. His hand was constantly pressing on the handle that caused him to have scars. All 5 scooters broke down and he needs a new scooter to be able to travel. We need your support because the cost for one is $1500.00. We are looking forward to continuing partnership with Dr. Danai Thao who is the founder of the two children hostels “Huayniam and Ban Hmong” in Chiang Mai, Thailand. But he decided to give the Huayniam children center back to Shoqhoto, a group of Hmong Christians in Thailand. He will be focusing on Ban Hmong only with the help of Rev. Dr. Lo, Missionary to Southeast Asia. The plan for the center is to build more fences around the property, build lodging for students, and have a training center there that may be the future home of the Hmong Lutheran Church Synod of Thailand. So please keep this project in your prayers. We closed the training with a Christmas celebration worship with the children at Huayniam Children Hostel. This was the first and last Christmas celebration for the children. This was the first time that the children actually got presents for Christmas and they were very excited. We purchased laundry products as well as hygiene products as gifts to the children. Pastor Bob was asked to dress up as Santa Clause and gave out candies to everyone. Over all the training was a success and we thank everyone who supported the prayer book project and made the mission trip possible. May all the honor and glory belong to our Lord and Savior Jesus Christ. Amen. We've edited the audio clip and made a short video that can be viewed HERE or it may be viewed below. In the revised video, some photos are repeated due to the protection of those who were involved.